The Equity-Only Put/Call Ratio was very low last Tuesday, falling below 0.5 for the first time since January 2018. This is commonly seen as a bearish sign. It isn’t. Here’s the data to prove it. 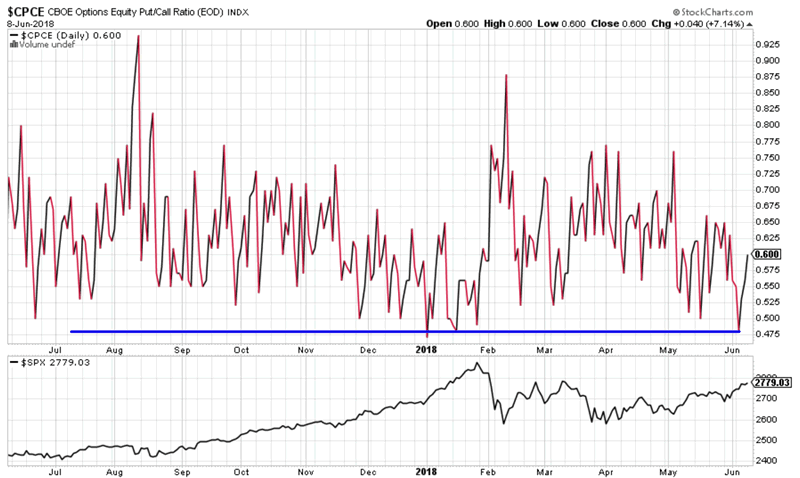 When the Put/Call Ratio becomes this low for the first time in 4 months, it is actually a short and medium term bullish sign for the stock market. Keep in mind that this study is as of last Tuesday. Historically, the stock market went up 90% of the time on a 2 weeks forward basis. And so far it has – the stock market is up since last Tuesday. So how does this square with the short term bearish studies we presented yesterday? The stock market tends to fall a little 1-2 weeks after a rate hike (to be expected this Wednesday). 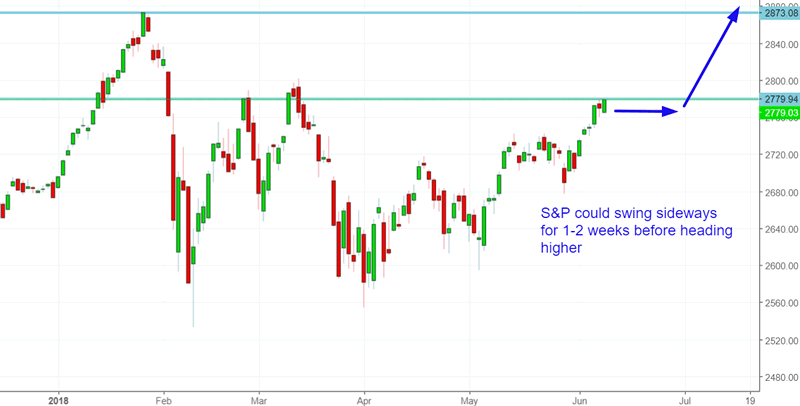 I previously thought that the stock market would probably make a small 1-2 week pullback before heading higher in the medium term. I’m slightly revising that outlook. 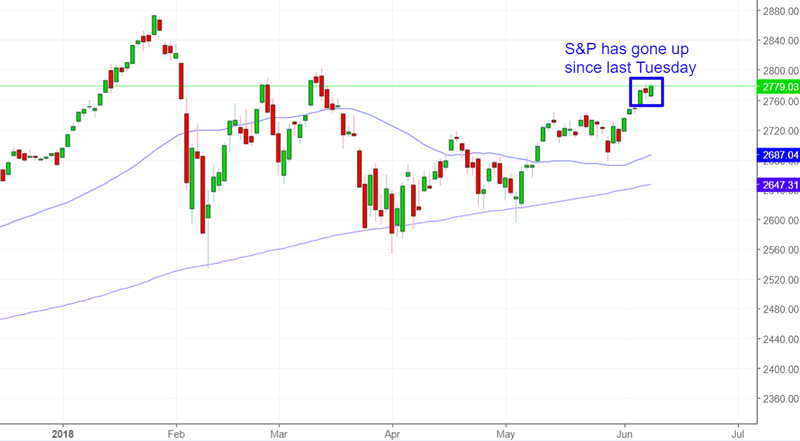 Instead, I think that the S&P 500 will probably swing sideways below its current resistance for a week or 2 before heading higher. Remember, “short term weakness” doesn’t mean that the stock market has to make a sizable pullback. A sideways consolidation counts as “short term weakness” too. But going back to the Put/Call Ratio study, we can see that this is also a medium term bullish sign for the stock market. When the Put/Call Ratio becomes this low for the first time in 4 months, it’s a sign that the stock market’s bullish momentum has returned. Look at the S&P 500’s returns on a 2 months and 6 months forward basis.